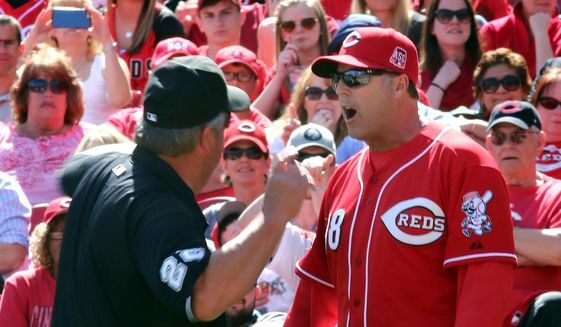 In case you missed it, Cincinnati Reds Manager Bryan Price recently went on a ballistic anti-media rant—complete with 77 F-bombs—because the Enquirer had reported after a pre-game press conference that catcher Devin Mesoraco wouldn’t be available at Sunday’s game. These kind of press conferences are standard: every MLB manager meets with the media before and after every game to discuss the match, players, injuries, strategy, outcome, and more. Pre-game and post-game coverage is important, not the least of which because it’s followed religiously by millions of fans worldwide, who generated a record $9B in revenues for the MLB in 2014. Press conferences—a media staple for a century or more—are common across the business world as well. Media are regularly invited to ask questions when earnings are announced, products or services are unveiled, new executives join a company, and more. The only thing that’s changed is how quickly information can be disseminated. Whereas news from a press conference might not have broken until the next morning’s newspaper headline, media today are competing for who can break news as-it-happens. Breaking news is often tweeted before it makes it into an article headline. Journalists who delay breaking news are doing a disservice to their audience, their publication, and even their careers. “I don’t get it. It’s, you know, look, I don’t need you guys to be fans of the Reds, I just need to know if there’s something we want to keep here, it stays here. We don’t need to know that Tucker Barnhart’s in the f****** airport when we haven’t spoken to Kyle Skipworth. I think we owe that f******* kid the right to be called and told that he’s going to be sent down as opposed to reading that Tucker Barnhart is on his way from Louisville. I just… I don’t get it. I don’t get why it’s got to be this way. Has it always been this way where we just tell f****** everybody everything? So every f****** opponent we have has to know exactly what we have. Which f****** relievers are available, which guys are here and which guys aren’t here, when they can play, and what they can do. It’s nobody’s f****** business. It’s certainly not the opponent’s business. We have to deal with this f****** b*******. Your job is not to sniff out every f****** thing is about the Reds and f****** put it out there for every other f****** guy to hear. It’s not your job. You want me to be candid with you? I’ve been candid with you. I f****** talk to you guys like men, I tell you what the f***’s going on with the team, I tell you how I’m feeling as candidly as I can and then this s***? You’ve got to watch this f****** s***? I’ve got to f****** read that on a f****** Tweet on our own people in here that we don’t have a f****** player? How the f*** does that benefit the Reds? It doesn’t benefit us one f****** bit. God **** we try to go out there and win f****** games and I got to come in here and then you guys f****** blow it all over the f****** place? Who we can play? Who we can’t? I’ll tell you what you want to know, I’m not going to f****** lie to you. I didn’t tell you f****** s***. His reaction makes things worse: it shows a disregard for the importance of the media and an ignorance to how modern media works. It is the media’s job to get factual news to their audience as quickly as possible; it’s the spokesperson’s job to manage how he or she disseminates the news to media. Never say anything to media (or anyone for that matter) that you don’t want to be public. It’s OK to say, “I can’t offer a comment on that at this time.” If you can, provide a reason why you can’t offer a comment. Often there are very valid legal or contractual considerations. If you feel you must disclose something that is sensitive in order to explain something else—but don’t want it to be made public—always get confirmation that the information is “on background” or “off the record”. An ethical journalist will keep most information confidential (unless there’s imminent danger or the authorities need to be notified) if you both agree beforehand. If there is a time-sensitivity, agree beforehand upon an “embargo date”, which is the date that the news can be made public. Don’t go on a ballistic rant if you fail steps 1-3. It makes things much worse.